Miro Video Converter used to be a simple video transcoder for Mac OS, Windows and Linux to free convert almost any video to MP4, WebM (vp8), Ogg Theora, or for Android, iPhone, and more easily. However, it has been discontinued for a while, leaving fans scrambling to other alternatives. If you can't figure out the right video conversion tools, here we have all the popular replacements. MacX Video Converter Pro is one of best Miro converter alternatives (macOS Sierra & Windows 10) that can cover almost all your needs of video conversion. It will convert videos in 4K UHD, HD 1080P/720P, SD, 360 vr, sbs, 3d blu-ray between various formats, including MP4, MOV, MKV, AVI, 3GP, WMV etc. It has profiles of the latest mobile devices like iPhone SE/6S/6, iPad mini 4/Air 2/Pro, Samsung Galaxy S7/Note 7, HTC, Android, Windows phones & tablets. It's also the fastest tool (5x faster) with the use of level-3 hardware acceleration tech powered by Intel QSV, Nvidia CUDA, NVENC and AMD app. Batch download video from YouTube, Vimeo, Vevo, FB, etc. 300+ sites. Directly compress video to all latest iOS iPhone Android device, no quality loss. Intel QSV CPU acceleration tech makes conversion 5X faster than any others. Convert downloaded YouTube to MP4, MOV, AVI, MKV, MP3 etc. 1:1 record the on-screen activity, tutorial, non-downloadable video, etc. Free edit video (crop, trim, add subtitles, etc.) and adjust parameters. 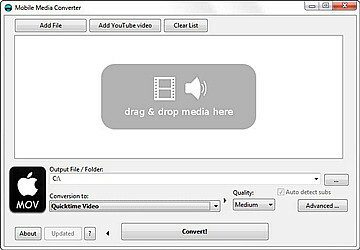 Download the Video Converter on computer and follow the steps below. For Windows users, free download the windows version (Windows 10/8/7 incl.). For Mac users, get the Mac version (macOS Sierra/El Capitan incl.). Step 1: Load the video file by clicking on "Add File" button. Step 2: Choose output profile. You can convert videos to MP4, MP3, MKV, MOV, YouTube/FB/Vimeo video formats, iPhone, iPad, Android and more. Step 3: Click "Browse" button to choose a folder on computer to save converted video files. Step 4: Hit "RUN" button to start to convert video with fastest speed and no quality loss. 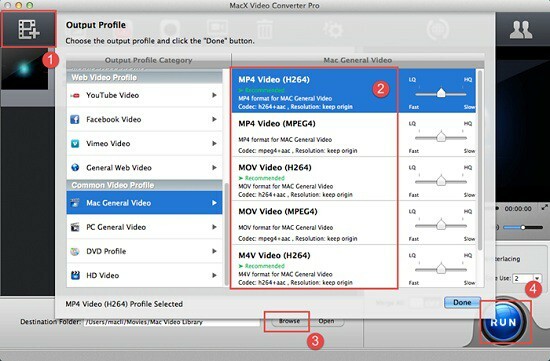 If you simply need to convert videos among different formats, then MacX Video Converter Free Edition is enough for you. This free Miro substitute video converter 2018 supports batch video converting to massive multimedia formats and mobile devices, including HD mkv, mts, avchd, SD mp4, mov, 3gp, avi, mpeg; as well as iPhone 6S/SE/6/5S, iPad, Samsung Galaxy S7/Note 7 and many more. The conversion speed is fast and output quality acceptable. HandBrake will be the best free alternative to Miro 2018. Handbrake can convert most common video files in batches and also non-protected DVD or Bluray discs to MP4 and MKV. Various devices like iPod, iPhone, iPad, Android phones tablets, Apple TV are also provided. It features many other useful function such as editing, adjusting, subtitles adding etc. Like Miro Video Converter, Handbrake is easy to use for beginners. It's free of ads or adware. 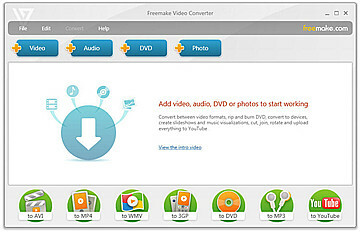 Freemake Video Converter is another free Miro Video Converter replacement converter on Windows (10). As it claims, it converts videos between 500+ formats and gadgets free. Users can have this better and free Miro alternative download to convert videos to AVI, WMV, MP4, 3GP or iPhone, iPad, Android, xBox and more. It's also a good video converter for 4K uhd, Full HD 1080p, HD 720p with excellent quality. Option is available to get online videos download and convert from YouTube, Vimeo, FaceBook and several more. Overall, it is a not-to-be-missed free Miro converter alternative for Windows uers. Mobile Media Converter works as a free Miro Video Converter alternative 2018 to convert between a wide range of both video and audio formats, including MP3, WMA, OGG, WAV, AVI, FLV, MOV, MP4 etc. The Miro alternative converter is also good at creating create ringtones in AMR or 3GA formats. 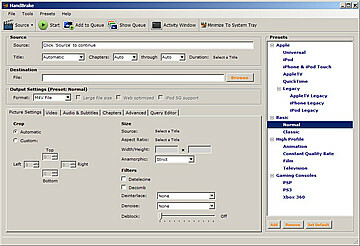 Users can further customize the videos and audios with its settings. It has a YouTube downloader built in to download and convert online videos from several sites to devices. It also supports DVD ripping. 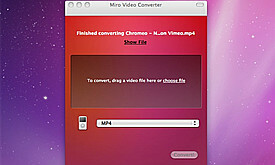 Any Video Converter Free stands as a versatile & free alternative to Miro Video Converter. It allows you to convert among different video formats like MP4, MKV, AVI, MOV, MPEG etc for free and also supports popular mobiles including iPad Pro/Air/Mini, iPhone 6S/6S Plus, Apple TV, Galaxy S III, Google Android, Kindle Fire HD, Sony PSP, Xbox etc. Besides the conversion function, it also integrates a CD ripper, YouTube downloader and DVD cloner. One of the best video converters for Mac and Windows users.